In the spring of 2014 the Mayor’s Office of Sustainability asked Drexel University’s Institute for Energy and the Environment to consider what it would take for the City of Philadelphia to reduce its emissions of carbon dioxide and other greenhouse gases 80 percent by the year 2050. As an environmental engineer I’m well aware of the importance of this goal. Reductions of this scale would stabilize the climate and prevent the worst of global warming. That being said, my first reaction was that this was a stretch for Philadelphia, and not something that could be achieved at a reasonable cost. But after over a year studying this I have come to see it not only as feasible, but not nearly as painful as we’ve been led to think. Greenhouse gas emissions are so embedded in all of our activities, every time we get in a car, turn on a light switch, or grab a cup of coffee, there are implications for our climate, and the pervasiveness of the issue can make it seem intractable. But addressing greenhouse gas emissions is not really a matter of individual behavior. It is more a matter of changing our energy infrastructure so it can meet human needs without harmful impacts on the climate. That change is looking increasingly affordable. In the electricity sector we are already drawing 40% of our power from nuclear energy which has low carbon emissions. At the start of the study I thought of renewables as having limited potential because of their intermittent nature. If I can’t trust the wind to be blowing when I want to use electricity, how helpful is wind power? As it turns out, very helpful. A study of the region indicates as much as 30 percent of our total electricity generation could come from intermittent sources thanks to better management of our electricity grid—specifically, our ability to forecast supply and demand, and where necessary, adjust demand to match supply through rescheduling of loads. When you have 40 percent of the power supply coming from nuclear power and 30 percent from increasingly cost-competitive wind and solar, then figuring out the remaining 30 percent starts to seem achievable. There are many options for that 30 percent, and we outline just a few in our report. We identified ways to do this both with and without additional nuclear generation stations. Our analysis suggested electricity mixes that are compatible with the goal of 80% reductions are achievable with current technology. We estimated that these low emission sources could come at a premium of 10-20% more than we pay now (with the lower end of the range associated with greater reliance on nuclear power and the upper with use of renewables and battery storage). Fossil fuels are a huge part of our energy infrastructure and transitioning away from them is looking affordable, but it is not likely to be free. This suggests that a transition needs to be ushered in by either restrictions on emissions or fees for emissions. Nobody wants to pay more for electricity, but the benefits of a moderate increase in costs may be dramatic. When I first started the project I was intimidated by the prospect of such a large transition, but the more I studied the issue the more I began to see that viable approaches are already being adopted. The overview that our study provided does not say for certain what path we should take. Indeed, many of the technologies that may be used to avoid emissions in 2050 may not even have been developed yet. But our study does add to an increasing body of work indicating that dramatic emission reductions are not only desirable, they are attainable. 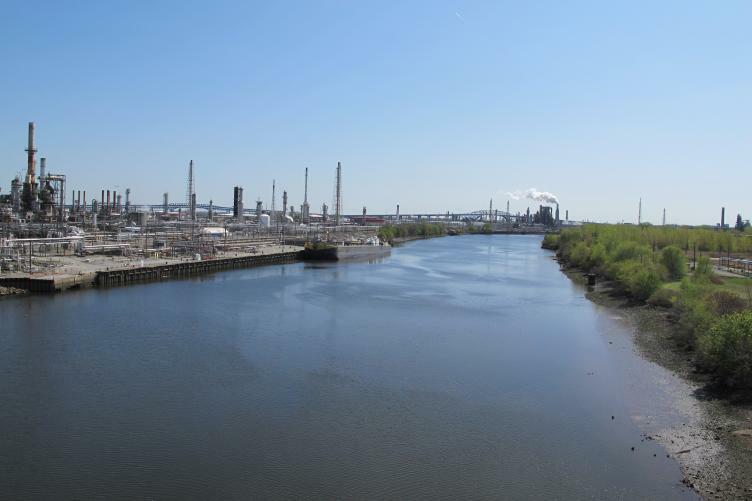 Patrick L. Gurian is an associate professor in Drexel’s College of Engineering, and a lead author of “Options for Achieving Deep Reductions in Carbon Emissions in Philadelphia by 2050,” a feasibility report prepared by the A.J. Drexel Institute for Energy and the Environment for Philadelphia’s Office of Sustainability.